WERA-102: This project coordinates climate data and associated products developed by regional and state climatologists, which results in more useful tools that allow producers and others to operate in a more cost-effective manner. Issue: Weather data are used by numerous clienteles, including farmers for irrigation scheduling, landowners and fire agencies for predicting and responding to wildfires, agencies involved with natural disasters like droughts and floods, and researchers in academia and a variety of agencies. 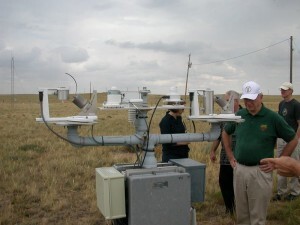 This project is a coordinating committee with the following objectives: (a) to coordinate collection and dissemination of weather and climate data and information in the western United States and to serve as a forum for discussion of related issues; (b) to identify weather and climate issues and support research related to agriculture and natural resources, especially in the West; (c) to promote access to, and use of, weather- and climate-based products in order to improve monitoring and decision making related to agriculture and natural resources issues (e.g., drought, fire, and water supply); and (d) to coordinate the development of new climatological analysis technologies such as remote sensing and geographic information systems. A study at the New Mexico Climate Center demonstrated a loss of $200–600 an acre by pecan growers because of not using weather- or soil-based methods in irrigation scheduling. As a result of this study, a new study was initiated on the development of a simpler method of scheduling irrigations using long-term average climate data. The Oregon Climate Service, in cooperation with the Oregon State University Department of Veterinary Science, conducted research that focused on the effects of weather and climate trends on the development and spread of diseases in livestock (horses and goats) in Oregon. 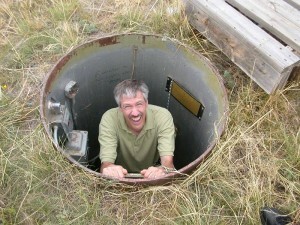 Climbing out of a lysimeter tube. An irrigator in southern Idaho reported energy savings for pumping that ranged from $10–30 per acre annually on irrigated potatoes after he started using the U.S. Bureau of Reclamation’s AgriMet weather data to schedule his irrigations. 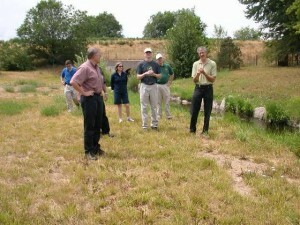 He reported total annual power savings from $14,000–17,000 over his 1,400 acres. 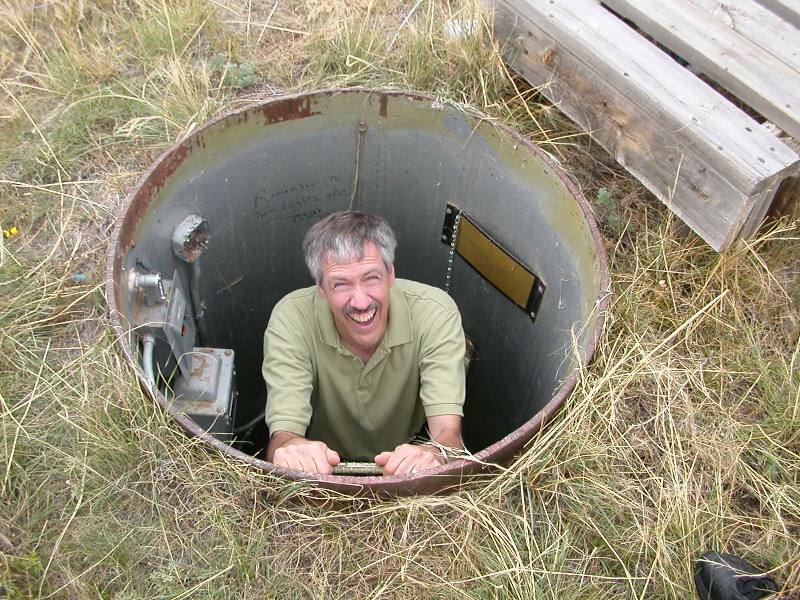 Feedback from users of the Wyoming State Climate Office and the Wyoming Water Resources Data System Web sites has been overwhelmingly positive over the past year, with users accessing nearly 250,000 unique page views each month. The U.S. Department of Agriculture (USDA) Forest Service has developed statistical relationships between number and location of large fire events in the West and climate, drought, and fire index variables. They found that a model to predict large fire occurrences using monthly mean temperature and the Palmer drought severity index showed potential to distinguish areas of high probability of large fires from areas of low to moderate probability of large fires. The model was superior to predictions based on historical fire frequency. 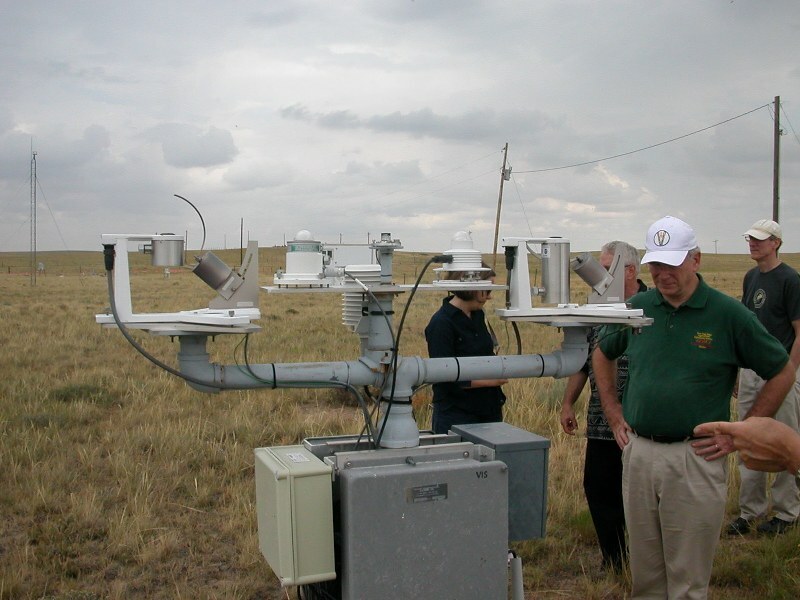 The U.S. Department of the Interior (USDI) Bureau of Land Management continues to operate a national interagency network of nearly 2,000 near-real-time solar-powered fire weather stations throughout the country. Other participating agencies include the USDA Forest Service, the USDI Bureau of Indian Affairs, the USDI National Park Service, the USDI U.S. Fish and Wildlife Service, and the National Association of State Foresters. Continue coordination of climate data collection, interpretation, and utilization.